Food security and Big Data analytics are important areas of focus for Dr. Jones, especially in scaling research capabilities to make an impact globally. Dr. Jones works with many trans-disciplinary activities related to food security in water limited environments and serves as the CSU point-of-contact for the Rocky Mountain Consortium for Global Development (RMCGD). He is also PI on several satellite data assimilation projects and advanced data processing activities, including work and collaborations with NCAR, NSF, NOAA/NESDIS, the U.S. Air Force (USAF), the U.S. Army Research Laboratory (ARL), the U.S. Army Corps of Engineers, the Bill and Melinda Gates Foundation, aWhere, and Global Development Analytics. 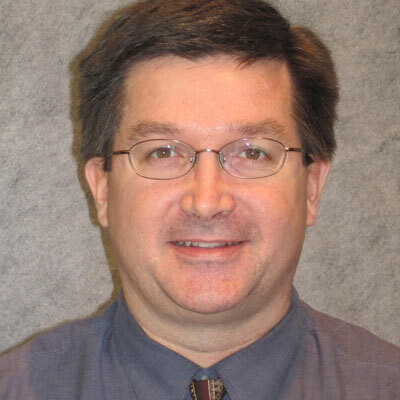 He recently served as Editor of the AMS Journal of Applied Meteorology and Climatology and is a Senior Editor of the APS Phytobiome Journal. He is a member of the Science Coordinating Committee of the Phytobiome Initiative, and Science Advisor to ARL’s Atmospheric Science Center (ASC). Dr. Jones also works closely with the DoD and NOAA as a subject matter expert in remote sensing, satellite data assimilation, operational transitions, and large-scale satellite data architecture and infrastructure studies involving big-data. Global food security in collaboration with Consortiums and the large foundations. Through the work of the Ogallala Water CAP, Dr. Jones is teaming with Dr. Andales (CSU) and others within Objective 2 to insert predictive precipitation estimates within the CSU Water Irrigation Scheduler for Efficient (WISE) Application (a smartphone-based decision aid tool) to improve water use efficiency and resource benefits. On his participation with the Ogallala Water CAP project, Dr. Jones says: "Success for our project looks like: 1) Engagement with the Ogallala Aquifer stakeholders, 2) Healthy team interactions with "the sum being greater than the parts", 3) ongoing team data/tool sharing for new proposed solutions/ideas, 4) coordinated steps toward large scale impacts in the near future and beyond, e.g., 2017-2020. At 2020, stakeholders should want us to continue to share and integrate data and knowledge because there is extra value occurring from the collaborations. We become the “go-to group”for the hard integrative questions and that the stakeholders value the output of our project. I see Big Data analytics as a catalyst for making smarter choices in a highly dynamic resource-constrained world. Through improved linkages between disciplines, benefits flow toward more pragmatic solutions, that otherwise could not occur. Experimentation and optimization of resources through the Ogallala Water CAP will demonstrate new innovative pathways toward sustainable solutions, recognizing the environmental realities (as they occur in real-time), benefiting the regional economy of the Ogallala Aquifer area." Jones, A. S., A. A. Andales, J. D. Niemann, M. Cammarere, S. J. Fletcher, and J. Corbett, 2016: Methods linking predictive weather and fine-scale soil moisture to crop and irrigation decision tools, AGU Fall Meeting,12-16 December, San Francisco, CA, accepted. Jones, A. S., 2016: Linking climate and weather scenarios to crop and economic models, Keystone Symposia, Phytobiomes: From microbes to Plant Ecosystems, 8-12 November, Santa Fe, NM. Jones, A. S., J. L’Heureux, S. Collis, 2015: Agricultural Re-analysis of Precipitation Data (Area-PD): High Resolution Blended Rain Rate Algorithms, Tech. Report for the Bill and Melinda Gates Foundation, 20 pp. Ranney, K. J., J. D. Niemann, B. M. Lehman, T. R. Green, and A. S. Jones, 2015: A method to downscale soil moisture to fine-resolutions using topographic, vegetation, and soil data, Advances in Water Resources,doi:10.1016/j.advwatres.2014.12.003, 81-96. Ranney, K. J., J. D. Niemann, B. M. Lehman, T. R. Green, and A. S. Jones, 2015: A method to downscale soil moisture to fine-resolutions using topographic, vegetation, and soil data, Advances in Water Resources,doi:10.1016/j.advwatres.2014.12.003, 81-96.